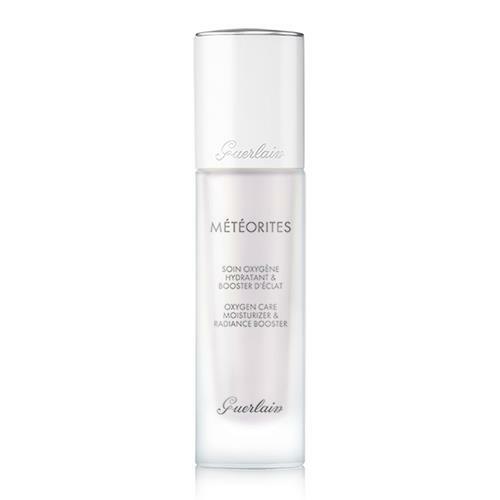 Météorites has been the expert in illuminating make-up since 1987 thanks to a unique alchemy that brings together technology and pure magic. Today it is extending its expertise to skincare. This fluid cream hydrates the skin to immediately renew its natural light from the inside out, for long-lasting results. The formula's complex is O2 Light, which helps encourage the skin's natural light receptors. A light-reflecting polymer blurs surface imperfections for a visibly more radiant complexion. Smoother, even-toned and more beautiful, the skin is instantly revived, for radiance that lasts all day. Day after day, its radiance is renewed at the source. A delicate violet fragrance, inimitable and totally addictive. I have been using these products for more than 10 years. Absolutely recommend all skincare line . Worth every penny. Our shipping rates are generated through FedEx and UPS realtime rates, based on the weight and dimensions of the products in your cart. Nigel Beauty works directly with the top brands in beauty to offer the product selection and availability professionals require. Many customers encounter other stores that sell products that look authentic but do not contain the same ingredients and do not work correctly. Manufacturers use proprietary ingredients and processes are based on significant research, development, and testing. These processes are what ensure safety, reliability, and regulatory approval from the FDA, ICMAD, or other organizations. We strongly discourage anyone from purchasing counterfeit products. Shop with us to make sure you get authentic product, and fair pricing as retail or as a professional customer. Guerlain has been exploring, innovating and enhancing since 1828. In Fragrance, in Skincare and in Make-up.